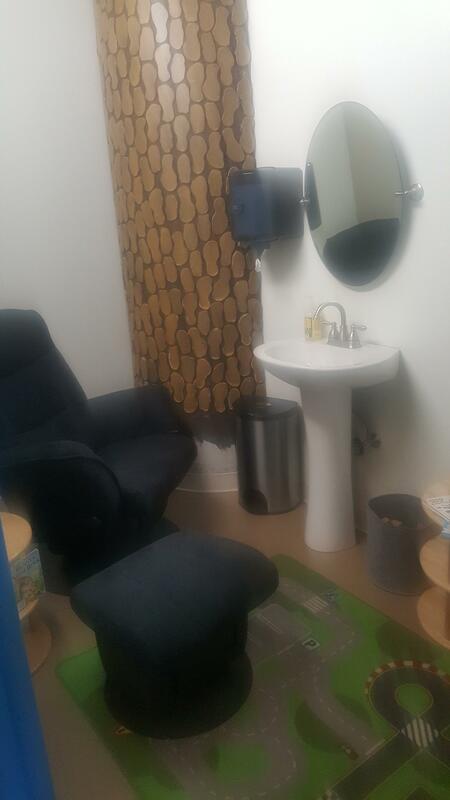 The nursing room at the Seattle Children's room has a wonderful nursing chair with ottoman and changing table, along with a sink and electricity for easy pumping. There's room for little ones to play or rest while you nurse and you can leave the door open if you like to see and hear your kids play in Discovery Bay or you can close and lock the door for complete privacy. Also note, there are several seating areas around the Museum that are great for nursing, too!